>>> Click here to read the full article. 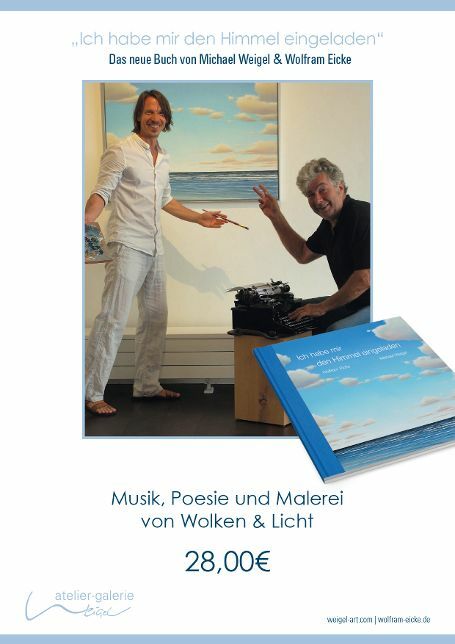 The new book from Michael Weigel and Wolfram Eicke could you order here. 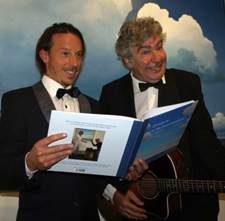 Thank you for the great responce for the book premiere "Ich haben mir den Himmel eingeladen"! 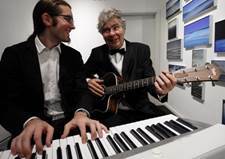 We thank the many guests and our musicians. 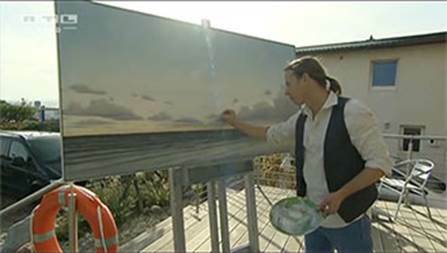 TV-Report by RTLNord about Michael Weigel. the beautiful weather on the Baltic Sea. 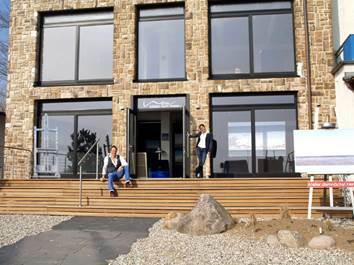 For almost two years it is rumored on the Bay of Lübeck on the so-called \"Burg“ over the Haffkruger Pier.\" Now the striking building on the beach gets a makeover: There Michael Weigel opens his studio and invits interested people to visit him at the same time. 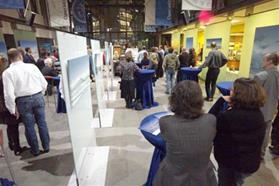 Of course the Travemünder gallery stays in the Maritim, whose 10th anniversary is celebrated this year. At Haffkrug the unique sea view inspired the artist for his part very large images, which can be presented in the light-flooded rooms perfectly. 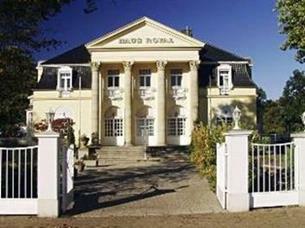 In the beautiful ambience small concerts and recitals are planned. 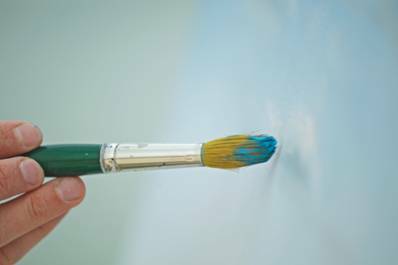 Daily visitors come in the new studio of the sea painter before the official opening to breathe the atmosphere or to reserve your favorite picture. 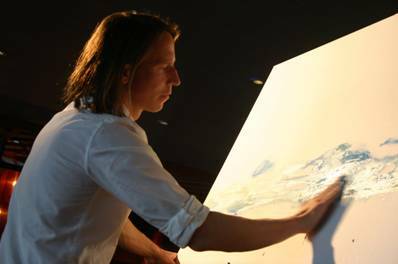 Special highlight: On Saturdays between 12 and 16: 00, Michael Weigel lets the visitors watch him while he is working. 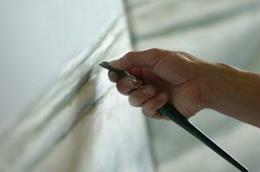 The official opening of the gallery takes place on the Saturday, may 18, 2013 at 15: 00. Cordial invitation! Don't panic, although alcohol-free but still snazzy pictures! Report of Travemünde: Hamburg/Travemünde 15.11.2008. «Close to the St. Pauli landing bridges and the shipyard of Blohm & Voss, where in 1911 the four-masted barque» Passat « launched, in quite maritime environment you can find the modern building of the Germanischer Lloyd.» The eminently respectable shipclassification-company resides in a building made of glass and steel, with friendly porters at the entrance, turnstiles, passes you pins on the jacket. A modern, cool building. 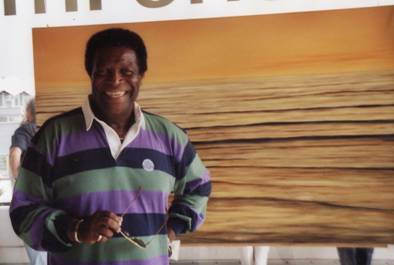 For heat the art provides and this time it comes from Travemünde. 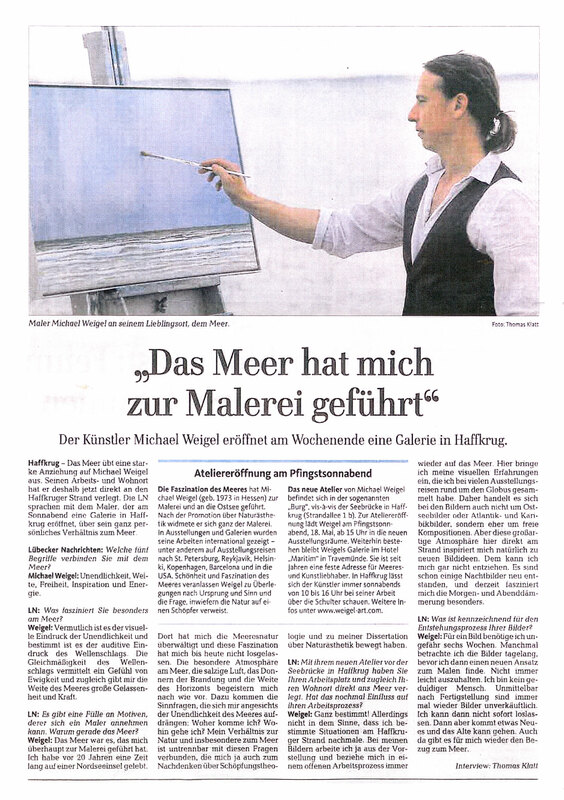 In November 2008 on the occasion of an exhibition of paintings of Michael Weigel at the German Lloyd, Hamburg there will be published his new catalogue. 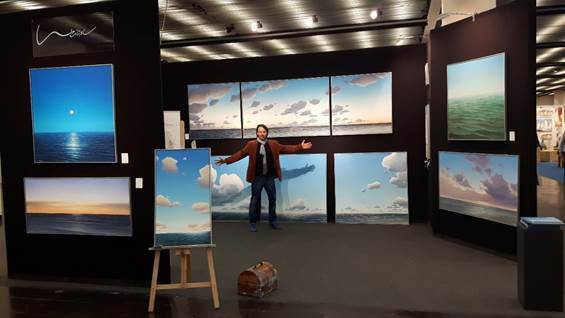 You will be welcome at Vernissage! 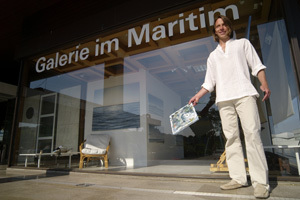 This year the ‘Gallery in the Maritim’ in Travemünde has ist fifth anniversary. 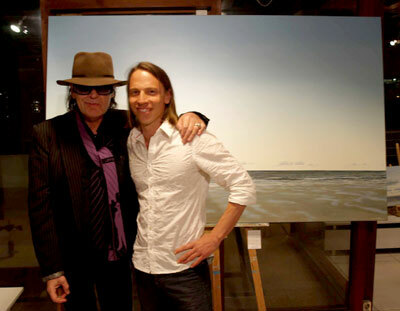 For five years now the paintings of Michael Weigel have been exhibited and sold there. For this reason there will be auctioned one painting everey month beginning in August 2008. 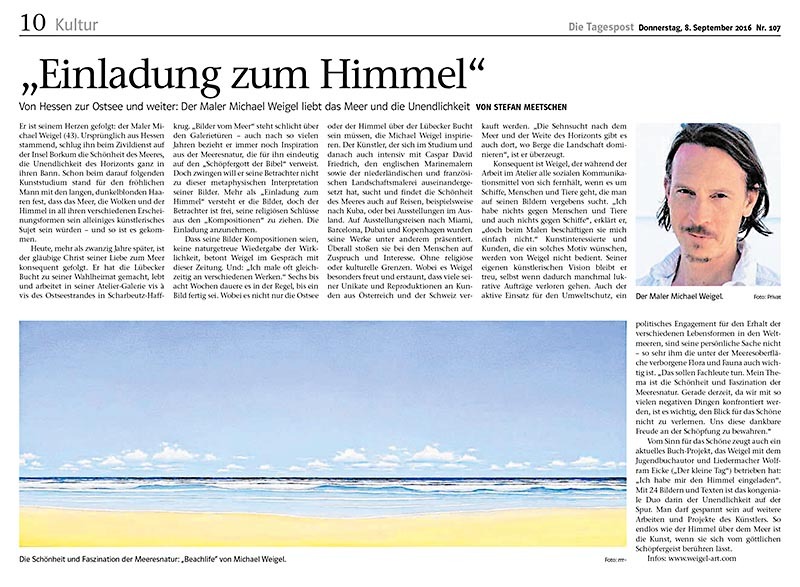 On 13 June, Pastor Robert Pfeifer could welcome the artist Michael Weigel with his paintings of the sea. About a hundred of interested visitors had the chance to talk with the artist who had brought some of his paintings. Transfer of the image in the presence of Mayor Gabriele Schopenhauer (center), Susanne Kasimir (Director of the Office of citizenship, left), Jörg D. Sträussler (MAGALOG Project Manager) and Ralf Giercke (project manager of the Stadtwerke Lübeck, right). Ahead was an exhibition in the Town Hall on the occasion of the MAGALOG Conference. 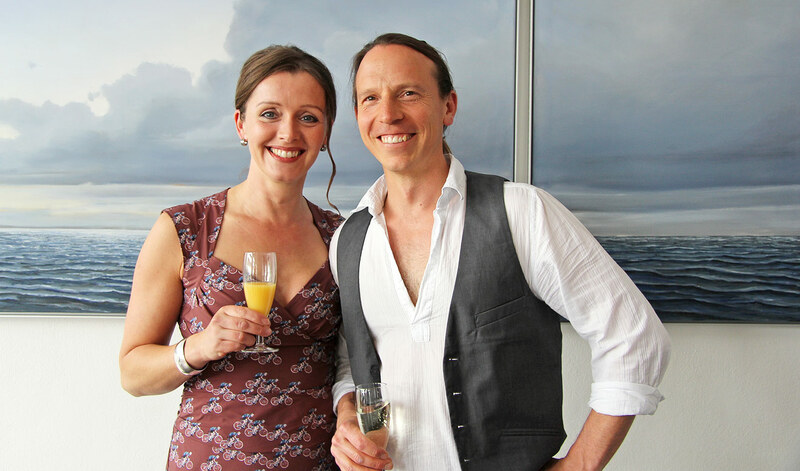 Paintings of Michael Weigel are presented by the Gallery Alta Ripa (here the team of Angelika Landherr, the gallery owner). 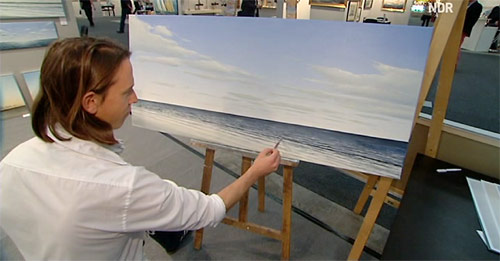 At the ‘Museumsnight’ on 25 August 2007 the art gallery ‘Kunstkontor’ Lübeck present paintings of the sea of Michael Weigel. 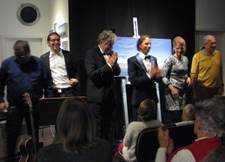 Acquisition of paintings by Roberto Blanco and the collection of Dr. Günther Schirm.